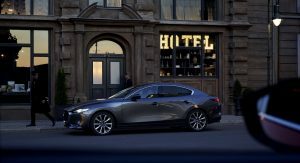 When we saw the official photos of the all-new 2019 Mazda3 yesterday, there was one image in particular that intrigued us — and our readers. 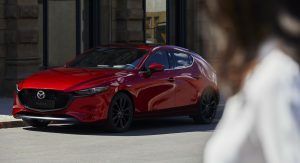 In it, Mazda showed the i-Activ AWD system but the press release didn’t mention anything about it being available in the United States. 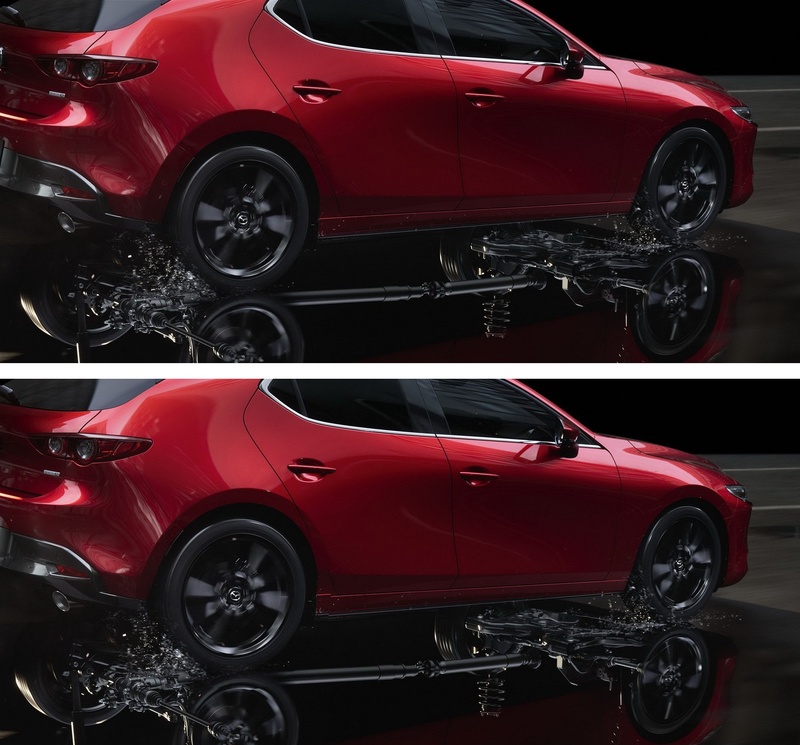 So we contacted Mazda USA asking whether AWD will be on the menu for U.S. buyers. 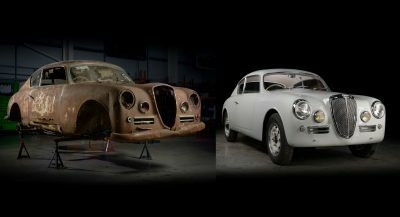 The answer came from Drew Cary, Senior Manager, Brand Communications who plainly told Carscoops via e-mail: “Yep! AWD will be an option.” For now, no further details are available but that’s all we needed to hear. 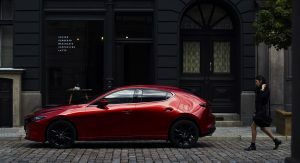 That’s obviously great news for Mazda enthusiasts and for fans of AWD compact models, especially since the Japanese automaker never offered an AWD Mazda3 in the United States. 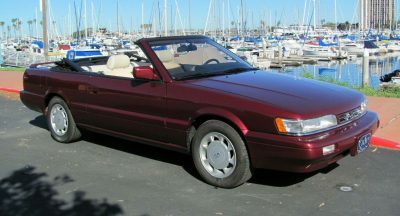 It did, however, offer an all-wheel-drive system on the Japanese market model, the Axela. 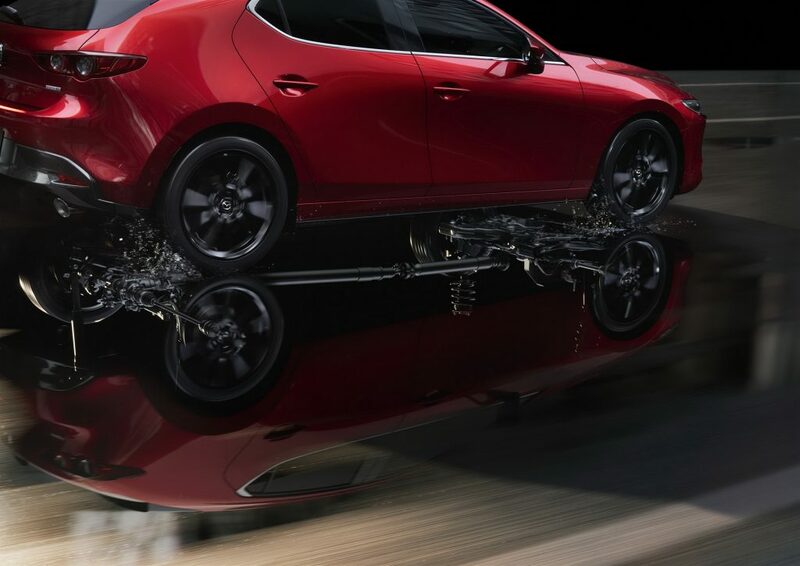 According to Mazda’s press release from yesterday, the i-Activ AWD system adds “four-wheel vertical load” detection and works in harmony with G-Vectoring Control Plus (GVC Plus) to control torque distribution between the front and rear wheels. 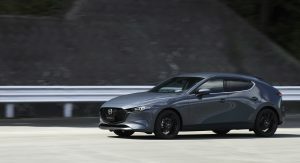 As a result, “it is fully capable of responding faithfully to the driver’s intentions, regardless of the driving scene,” reads the press release. 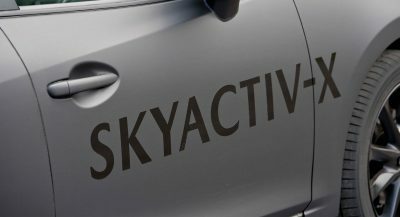 The updated i-Activ AWD system is also said to reduce overall mechanical loss by approximately 60 percent over the previous model. Consequently, fuel efficiency stands to gain. It’s a looker for sure. Kudos to Mazda on the AWD part as well. 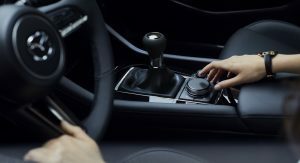 GM and Ford should take note and step up their game instead of wielding the ax. This only works for me if it will be available with the stick. 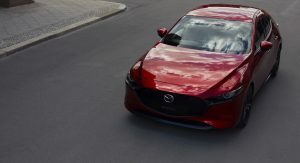 Otherwise, I’ll keep waiting for the next WRX, being pissed at Mazda. 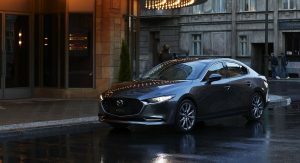 I want this new 3 – don’t get me wrong – but I hate it when big mechanical options like a bigger engine, fancier transmissions and AWD is only available on the uppermost trims. There are some people who don’t mind skipping the leather seats but absolutely wanting the gonzo powertrain. 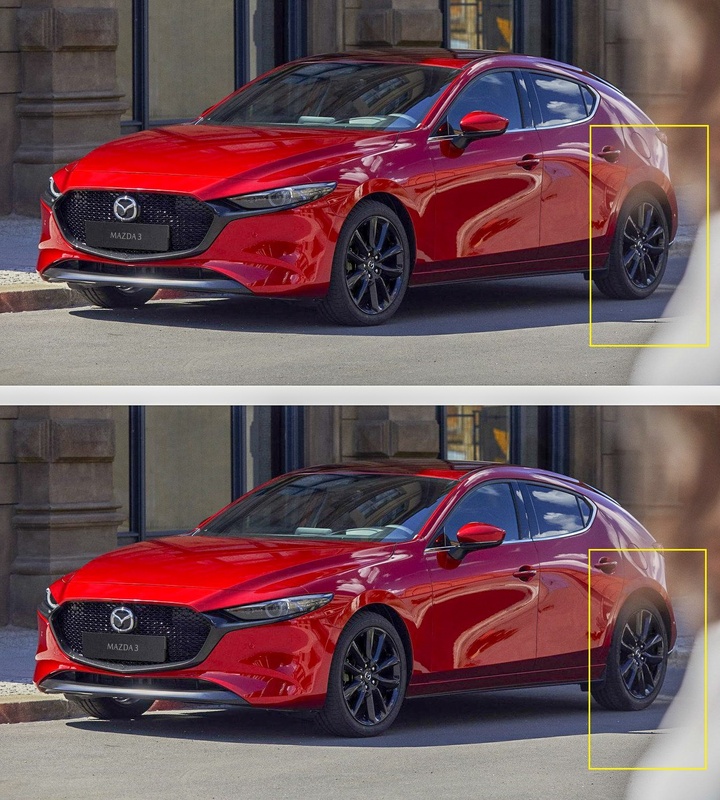 Mazda did a good job here. On looks alone plus AWD, why would you even look at anything else. Not to mention they just got put as the #2 reliability rating behind Toyota. The only complaint I see about the CX-5 (their top seller) is that infotainment system is garbage. Having a CX-5 in the driveway, I can attest, that yes it needs a lot of work! It has been very reliable since we’ve had it. (Unlike the vehicle it replaced *cough Nissan*). 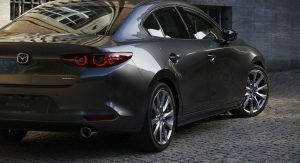 Maybe it’s just me, but that is rare for a small company like Mazda to strive in this short amount of time since they have been sold off. 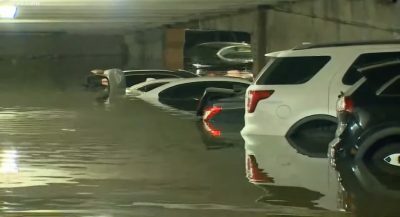 I don’t know if the Japanese government helped them or what, but their cars are pretty darn good for what they are and what they compete with. The only problem I had with the NAV/infotainment system was Bluetooth would occasionally not sync. I’d have to un-sync them from each other then re-sync. Other than that it was better than all the others I’ve used. What issues are you having? No technical issues. More-so dated graphics and layout which is what most people complain about. Not fast enough, late to the Apple CarPlay/AA scene, etc. stuff like that. 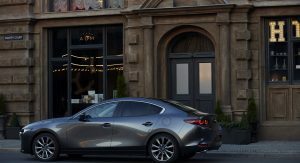 But whatever system/UI tech Hyundai/KIA uses for their infotainment systems, Mazda should jump on it. One of the smoothest systems in the industry. And of course the bezels are humungous which offsets the interior design. I do notice how slow it is compared to other systems though. Torsion beam suspension though? 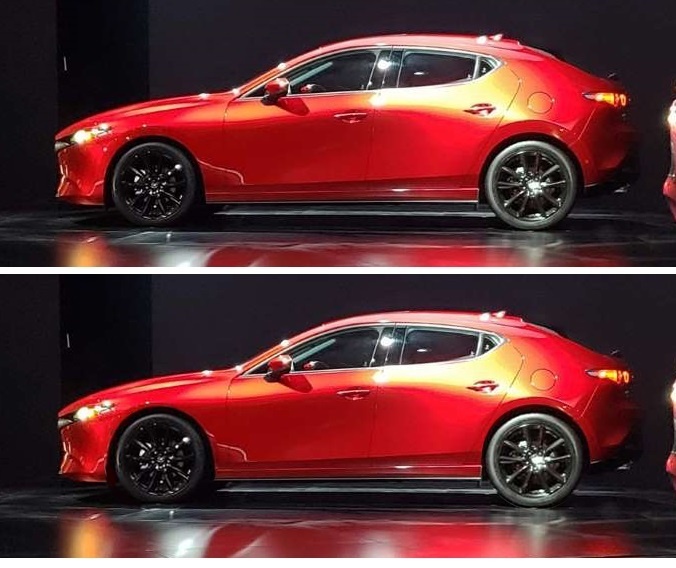 Lmao way to go backwards Mazda. 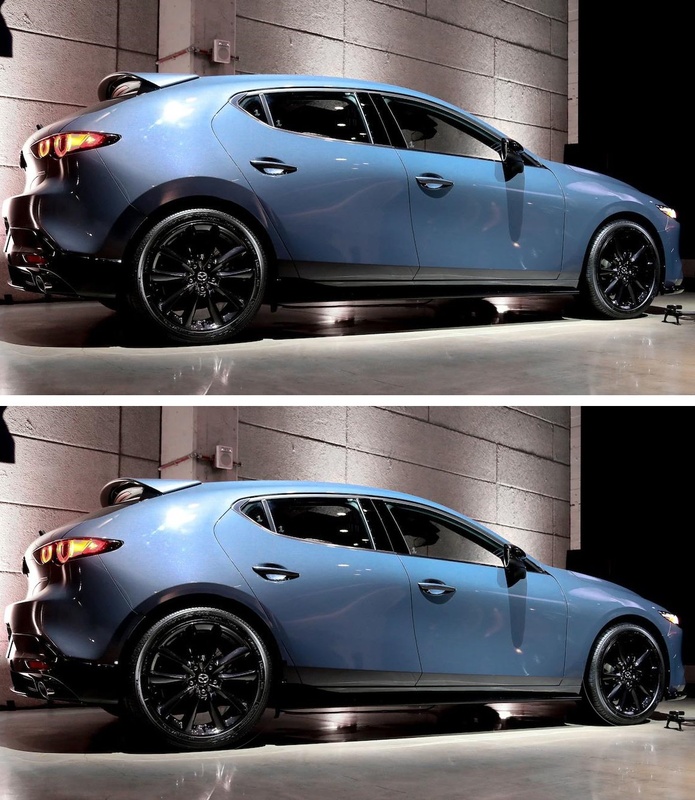 Will Mazda take on Golf R/Focus RS? What kind of Gods do we have to make sacrifice to to make it happen? They’ve only gone and done it! This LA Auto Show keeps getting better and better! 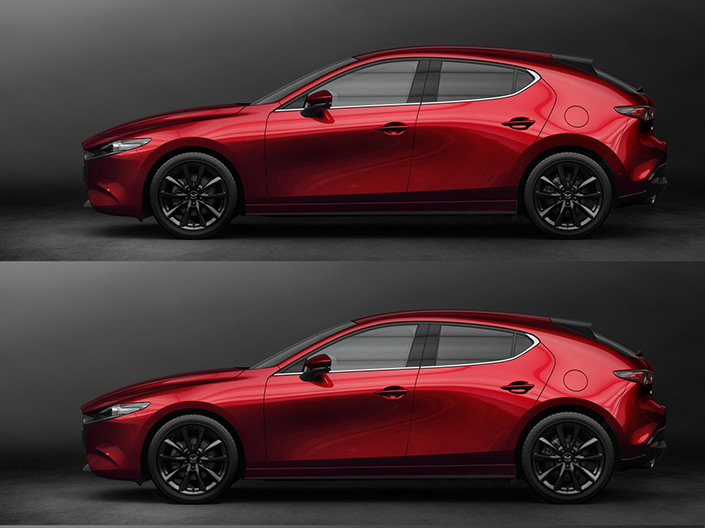 In reverse of prior years, the sedan actually looks better this go-around than the hatch. 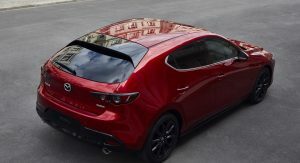 Too much metal, and not enough glass towards the rear of the hatchback. Also, the massive front overhang is so ugly. Why couldn’t they just move the front axle a bit more forward? 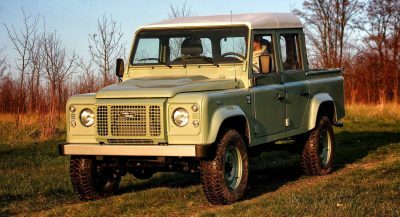 That said, and especially on the inside, this is still a mostly beautiful vehicle especially for its class. We know that a torsion beam axle with driven wheels isn’t news, as it’s already done by Suzuki, Honda, GM and FCA. 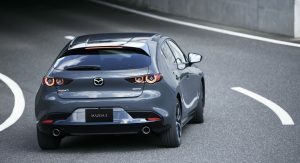 The question is how was Mazda approach on this kind of setup. Raise it two inches and call it an CUV. 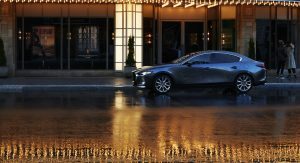 Will the sedan also get AWD? This car needs definitely bigger wheels, especially on the back because they look very small and disturb the proportions. Suddenly… the new 3 is VERY interesting.